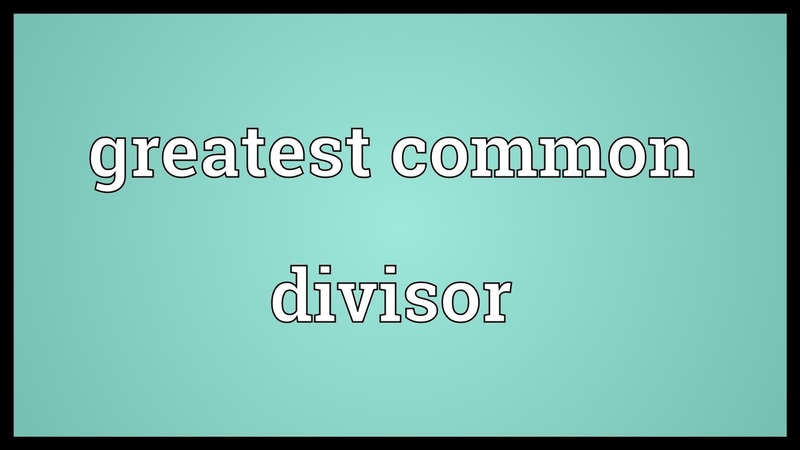 In mathematics, the greatest common divisor(gcd) of two or more integers, when at least one of them is not zero, is the largest positive integer that divides the numbers without a remainder(amount left over after peforming a division). The greatest common divisor is also known as the greatest common factor(gcf), highest common factor(hcf), greatest common measure(gcm) or highest common divisor. There are 5 more methods to find gcd, more optimized. One of them complexity is best. Check bellow buttons(PayPal)!!! © Copyright 2015 The Algorithm. Designed by . .